I had no idea Madame de P was so versatile! I LOVE LOVE LOVE the whiskey flask. So fabulous Sarah! Concentrating on the woman and switching turned out to be a great choice, but the brilliant creativity in mermaid tail (wow) an awesome design – the water colors used were a perfect choice. The layers in this has me keep going back for another look – a favorite! I’m overwhelmed by your comments, Mary. Thank you from the bottom of my heart! 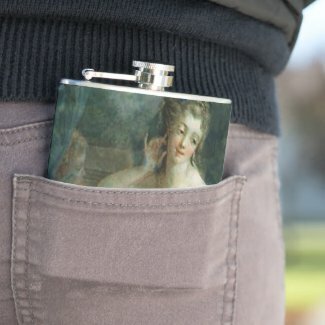 A really fun image and I’m sure Madame de Pompadour would have approved. Glad you like it, Olga. I think you might be right about Madame de P! it was certainly worth it- great success sarah. 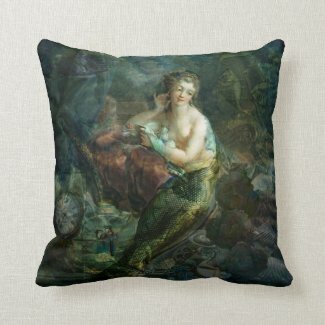 « First Night Design | 20% OFF Everything at Redbubble — 12 hours only!